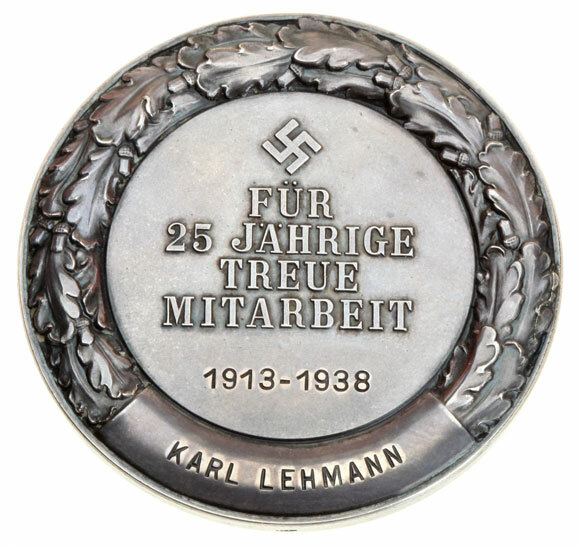 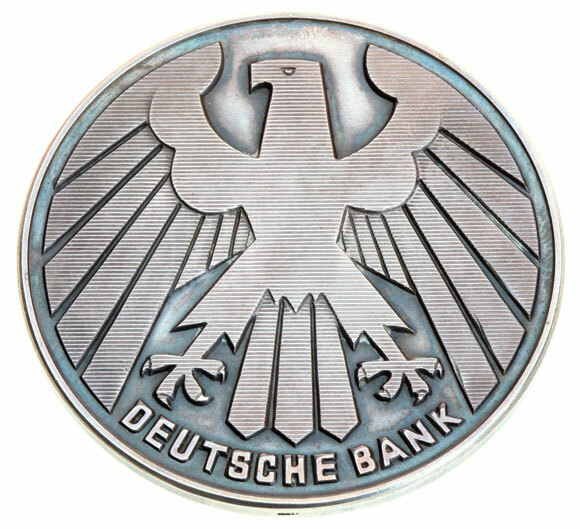 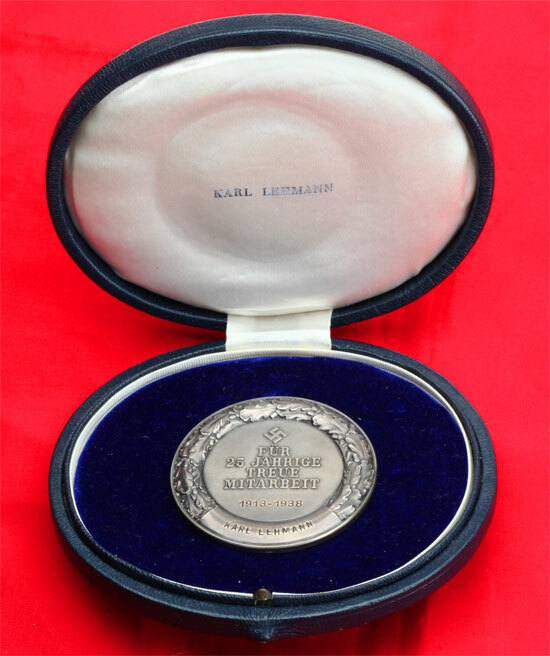 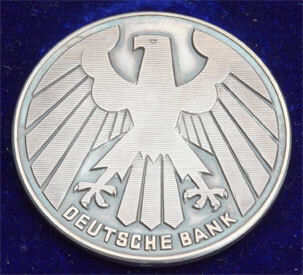 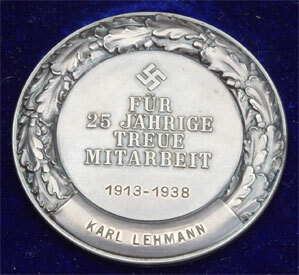 Deutsche Bank 25 Yrs Medal: Fur 25 Yahrige Treue Mitarbeit 1913-1938 Karl Lehmann; Solid silver, very high relief oak leaf wreath, 56 mm (2.2 inches), 81.5 gm, marked "silber" on bottom edge, virtually mint condition. 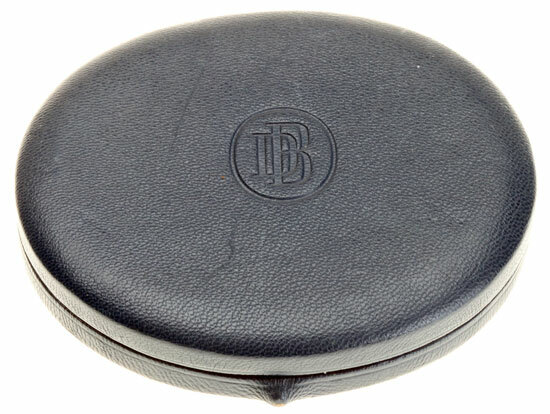 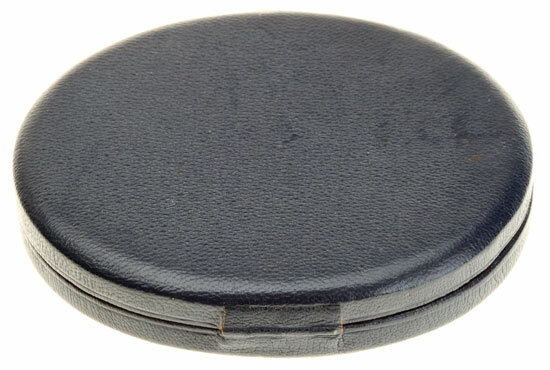 Case: Navy blue leather covered wood box, DB initials on top, leather covers back hinge and push button lock, interior has a padded white silk lid stamped with the recipients name, base made of blue velvet with a 36 mm recess to place some kind of padded disk (missing) to fit into the medal's wreath to raise it just above it's oval velvet display pad. 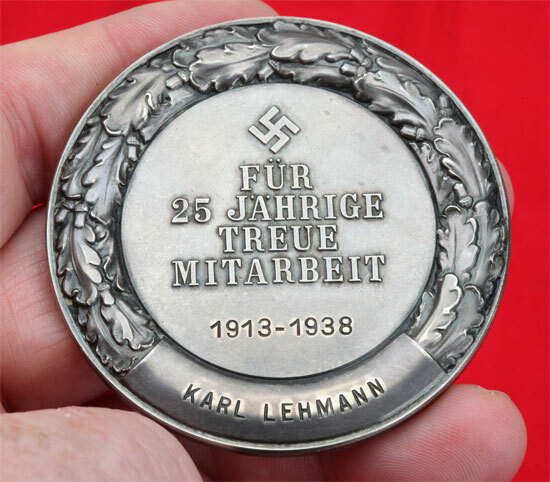 This is one of the finest 20th century German long service medals ever made, one that Germany's biggest bank could easily afford for it's faithful employees.